Home / Science and Technology / Airtel 4G beta launch in Chennai-Upgrade to 4G! Airtel has launched 4G in Chennai in Beta mode. Existing customers can upgrade to 4G for no additional cost. I happened to attend Airtel 4G soft launch last evening where airtel management (led by Hub CEO George Mathen)briefed us about their 4G initiatives and got an opportunity to learn a bit more about the high speed 4G service and this post shares those observations with you. After Kolkata, Bengaluru, Chandigarh, Pune and Amritsar, Airtel is introducing 4G in Chennai. Coimbatore, Trichy and Vellore are the next cities in the pipeline. While carriers can not guarantee a specific speed (because it depends on location, time of the day, no of users and many other factors), we got about 26mbps download speed and 9mbps upload speed in speedtest, inside Airtel office (right under the tower). A 50MB candy crush game could be downloaded in a matter of 8-9 seconds. This is pretty quick. Videos will load without buffering, large photo albums can be uploaded on the go and other heavy duty tasks will be a breeze. However speed was little less at my home and office areas. What it takes to shift to Airtel 4G? If you are an airtel customer, pre-paid or postpaid, you can shift to Airtel 4G at no extra cost. But you will need a 4G compatible SIM and 4G compatible handset, plus a 3G data plan. Airtel will give free SIM replacement. There're about 38+ 4G compatible handsets in market today, starting at about 7k (2nd gen Moto E). By end of this year 50+ 4G models, starting 5000 Rs onwards are expected to be available. Go to http://www.airtel.in/4g, enter your number and check compatibility. Follow instructions on screen to get a new number. Alternatively you can walkin to an airtel store. Some samsung stores will also be offering airtel 4G services. Is there extra cost for using Airtel 4G? No. Airtel is offering 4G at 3G data plan. So you can experience high speed at no extra cost. But be advised that you will tend to exhaust your data limit much faster under 4G, so consumption could be more and if your plan involves an unlimited data but a FUP (Fair Usage Policy), once 4G limit is exhausted phone will shift to 2G. How good is the coverage for Airtel 4G? As stated earlier, 4G is currently in Beta, meaning kind of test phase- it isn't perfected yet and coverage may not be as wide as 3G. While Airtel is trying to add more towers and increase coverage, in some parts of the city you may only get 3G. This may take some time to stabilize. Is airtel offering 4G data card/dongles? Yes. Apart from mobile, you can also buy an airtel mobile hotspot device for about Rs 2300, which runs on battery and can connect upto 10 devices through WiFi. There is also a USB dongle. So should I switch to Airtel 4G/Is it worth trying it now? Yes. As there is no incremental cost, if you have a compatible handset, do get a 4G SIM and try airtel 4G. 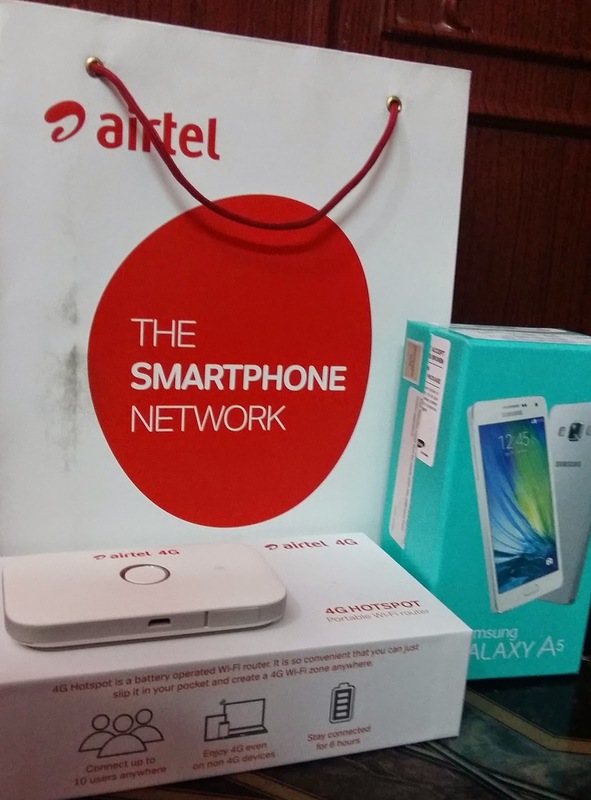 I am currently using the Airtel 4G hotspot and a Samsung Galaxy A5 loaded with 4G sim. Will share more about my Airtel 4G experience after few days. I have upgraded to Airtel 4 G card but the connection is so poor in most parts that I switch to 2G to talk...otherwise when I am on 3G or 4G network the voice quality is very poor.